Nellysford, VA – April 2, 2018 – The Woodwork Career Alliance of North America now offers a treasure trove of tools for training students and entry-level woodworkers. Unlimited access to the online vault of training resources is a valuable new benefit that comes with the $250 annual fee for EDUcation™ and MANufacturing™ membership in the WCA. The Woodwork Career Alliance of North America was founded in 2007 as a 501(c)(3) non-profit corporation and is governed by a volunteer board of directors. 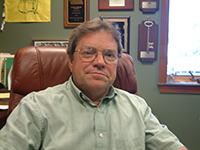 The WCA’s mission is to develop and administer a unified set of Skill Standards for the wood products industry. Since 2011, WCA has developed observable and measurable performance standards and assessments for more than 240 woodworking machine operations. In addition, WCA has issued more than 1,600 Passports, a portable, personal permanent record documenting each holder’s record of achievements as a woodworking professional. More than 100 high schools and post-secondary schools throughout North America are WCA EDUcation™ members. 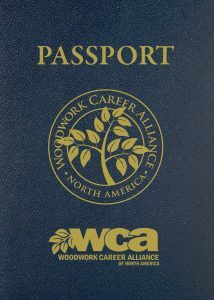 To learn more about the WCA, how to get involved with its programs or to sign up to receive the quarterly WCA Pathways e-newsletter, visit WoodworkCareer.org. 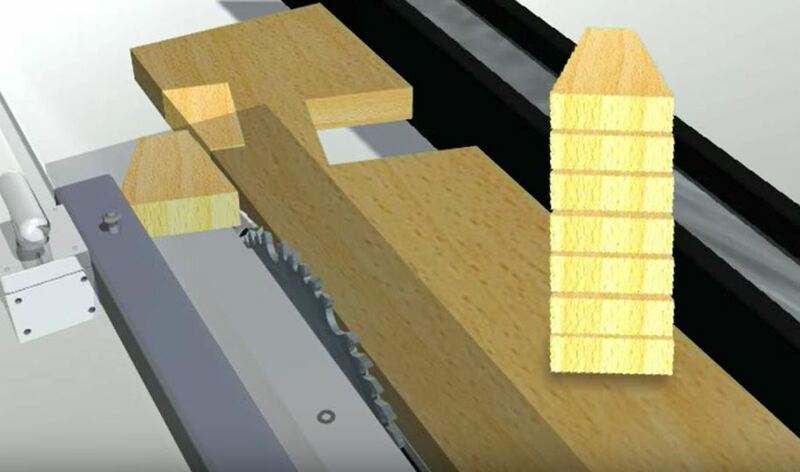 The Association of Woodworking & Furnishing Suppliers presented a March 13 webinar focused on Woodwork Career Alliance accredited skills evaluator training. 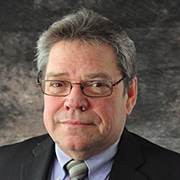 The webinar featured Patrick Molzahn, of program director of Cabinetmaking and Millwork at Madison College in Madison, WI, ,and Bert Christensen, instructor at Westosha Central High School in Westosha, WI. The duo provided useful ideas that educators can use to implement the WCA credentialing system in their classroom. In addition, Molzahn and Christensen discussed the library of videos, training resources, and educational materials that the WCA has assembled to make help woodworking teachers. The webinar is a shortened version of the CWWK Teacher Track session offered at the 2017 AWFS Fair. 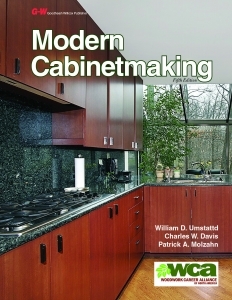 Patrick Molzahn, WCA Accredited Chief Evaluator, updated Modern Cabinetmaking. The 5th edition coordinates with the WCA Standards and Assessments, provides a wealth of support for instructors and managers, and helps create a “curriculum” of learning for fine woodwork manufacturing. Essential to productive work in our plants and shops is a clear understanding of the TERMS of our industry. Goodheart-Willcox has graciously permitted WCA to use and distribute the Glossary from the 5th Ed. Glossary of Terms from Modern Cabinetry, 5th Ed. Safe and productive use of our many machines and tools is vital. You, as an instructor and trainer, probably already have good teaching tools. Modern LEAN manufacturing techniques place a full machine manual, including operations and maintenance, at each machine. Video learning is a benefit. Here is an example on the Table Saw [about 4 minutes]. You will need these things at hand to continue. It’s OK to stop now to gather them. Click on the “green” links below to find things. Come back here when you are ready – Mark Complete. As the opening of AWFS Fair in Las Vegas draws upon us, please remember to stop by our booth 9648! Let us show you how WCA’s Woodworking Skill Standards can help improve your school woodworking or company training program. I am proud to announce that during the 2016-2017 school year we issued 185 certificates or credentials. We now have more than 1,560 WCA Passport holders across the U.S. and Canada. One final housekeeping note: There’s still time to sign up for one of our Accredited Skill Evaluator (ASE) training sessions being held at the show. Just email snelsonwca@gmail.com or call me at 402-610-6043 to reserve your spot now and pay at our booth during the show. These ASE training sessions are being offered at a discounted rate through special arrangement with AWFS. The ASE training registration includes a one-year subscription in WCA – a $250 value – all for the low fee of $100. The purchase of a WCA Passport is required. If you don’t already have a Passport, you may purchase one for $55 at our booth. Hope to see you next week @ AWFS Fair 2017!